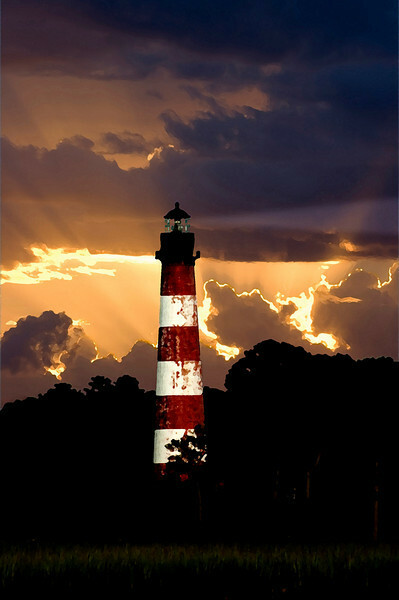 Assateague "Guiding Light1". Sunrise at Assateague. For those who enjoy an artistic look, this photo has been enhanced to lend a soft, painted feel. 6th in series. Wow, SPECTACULAR use of lighting!